Murray Nicholas Schrader - Edmonton's Burial & Cremation Professionals | Trinity Funeral Home Ltd. In Lieu of flowers the family ask donations be made to the Cross Cancer Institute or the charity of ones choice. We are so very sorry for your loss of a husband, father and grandfather. Our sympathies, thoughts and prayers are with each of you. Herzliches Beileid zum Abschied von Murray Nicholas. 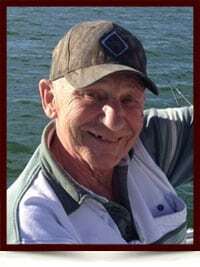 On behalf of Larry, Richard and all the office staff and drivers at Edson Freight Lines we would like to express our deepest sympathies in the passing of Murray. He was a great man and he has been missed by all of us since his illness forced him to stop driving back in February. You are in our thoughts and prayers at this sad time. My sincere condolences to you and all the Family . Our condolences to the entire family. A great loss.